Le prix et la disponibilité du produit sont corrects en date du 2019-04-26 14:32:02 UTC et sont sujets à changements. Toute informaiton relative au prix ou à la disponibilité affichés pour http://www.amazon.fr/ au moment de la commande sera d'application lors de l'achat de ce produit. 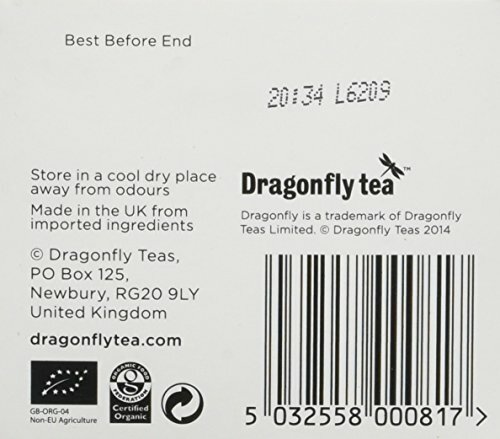 Dragonfly Tea is a family-owned, British tea company with a hundred year heritage of sourcing, growing and making the very purest and finest of teas. The company travel the globe to find artisanal and often rare teas, some from remote tea gardens, and some from the most renowned tea makers. 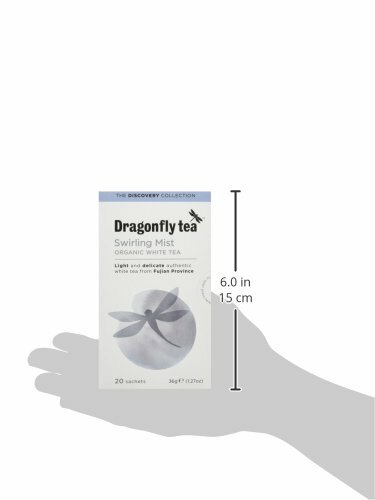 Dragonfly Tea is passionate about introducing tea lovers around the world to new, quality tea experiences and were the first to put such favourites such as rooibos, white tea and honeybush on Britain’s high street. 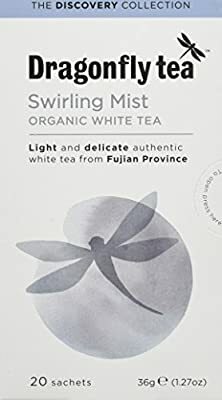 Organic Swirling Mist White Tea is an authentic Bai Mudan white tea also know as White Peony it is one of the great teas of China. Named for the silvery white down that covers the underside of the leaves, it is grown in the high mountain mists of Fujian province. In Spring, the tender shoots are carefully selected and skillfully cured, a natural process that has been perfected over centuries.